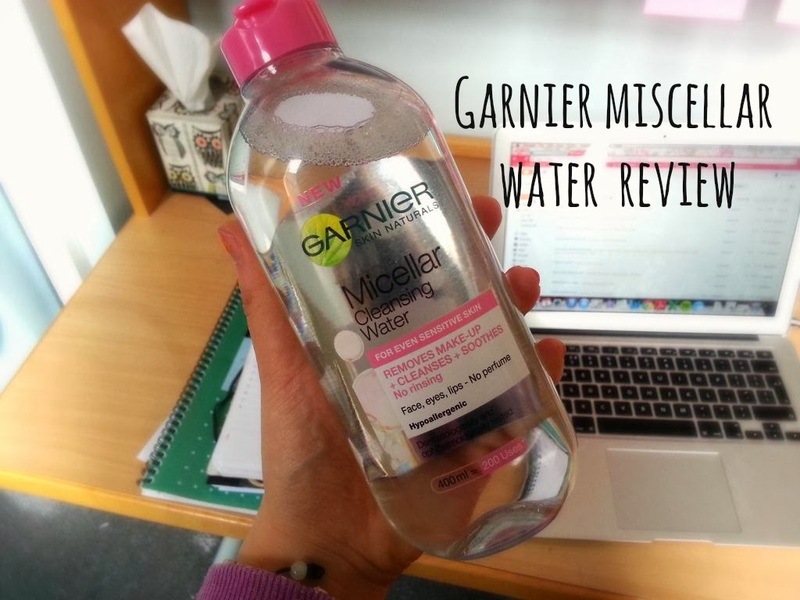 Garnier Miscellar Cleansing Water || Review | RAWR BOWS. Hey there! I am sure you have all heard about the Bioderma Miscellar Water, everybody has raved about it and has explained they love for this product multiple times. However, I think it's pretty expensive for something that is called 'water' so when I run out of make-up remover I decided to get this Miscellar Water by Garnier to try it out and see how it worked. First of all, I think the price is very affordable, it retails at £4.99 and it claims to last 200 uses so using it once a day it should last 200 days... I reckon it will last less as 200 days is a lot but still, the bottle is quite big. As you all can see, the packaging is extremely similar to Bioderma's so I guess they are trying to make a dupe of it. I have never used Bioderma so I won't be comparing it but this 'water' works wonders. I don't know what it has in it but it removes my eye and face make-up in a second, I just hold it on my eyes for 5 seconds and everything is gone. Amazing, I know. Another thing I love about this is that my face doesn't feel sticky or itchy at all afterwards and I don't really need to rinse it with water so that's great! The only thing that makes it not perfect is that it doesn't have any perfume. I know some people like stuff that has no perfume at all, like all Clinique's products, but I die for anything that smells nice so I would love if it smelt like vanilla or something fruity and nice. So, overall I would definitely recommend that product as it works extremely well and it's very affordable! Have you tried any miscellar water? Which one is your favourite?